Just like in football, many people start the game of life out with a bang for the Lord, but finish with a whimper. 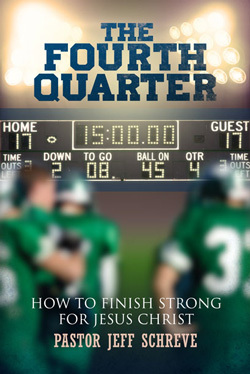 They bottom out in the fourth quarter and are sidelined by adversity, difficulty and temptation. How can you finish strong for Jesus Christ? In this 7-MESSAGE series titled FOURTH QUARTER: How to Finish Strong for Jesus Christ, Pastor Jeff Schreve will help you stay faithful and fruitful all the days of your life.